On the cusp of their seventh release SaltmanKnowles returns with “Almost.” Melodic, groove oriented compositions are the record’s cornerstone. Almost is inspired by writer Dan Barry’s book about the longest baseball game (Bottom of the 33rd) which details the lives of the people associated with the game. The most compelling part of the story is the players’ commitment to their dream. Year after year they uproot their families’ lives to play baseball. They’re always honing, practicing, and playing. Some went on to be household names others faded. Regardless the pursuit of the dream was relentless. There’s something special about the ones who didn’t quite make it. They almost did it, and still found it to be worthwhile and rewarding. It’s the work itself, the process builds character even faith. Its been Almost five years since our last release, (Yesterdays Man 2011) shortly after, we lost our drummer, close friend and mentor Jimmy Junebug Jackson. He was one of the keepers of the faith. ‘Bug’ always told it like it was, and the joy in his swing and the depth of his groove was infectious. He was sort of the Yang to our Yin, completely fearless, uncaring what others thought of him and damn the consequences. His loss silenced us for a bit. Other keepers of the faith that inspired us are; our teacher, the great and humble Dr. Yusef Lateef, and singer Mark Murphy. Dr. Lateef taught us both to seek our own voices compositionally, to imbue the process with spirituality, and to be open, aware and explore. Mark Murphy’s free-wheeling, searching, gritty, sliding, rambunctious way of singing is an inspiration as well. We salute these gents with this release. 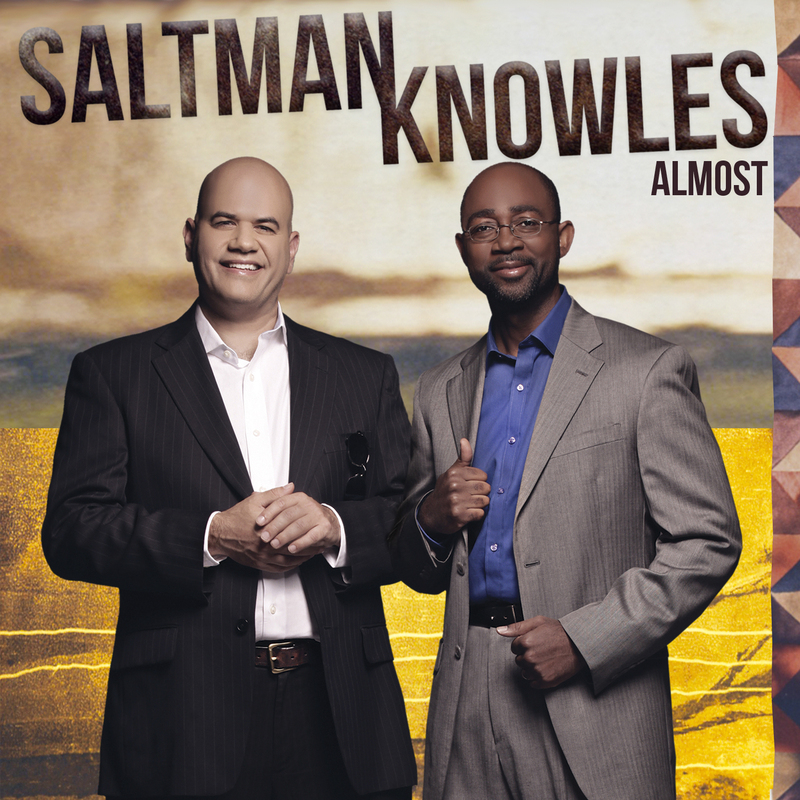 SaltmanKnowles is joined by Grant Langford on soprano, alto, and tenor saxophones. Mr.Langford a Basie band veteran, is currently active with the Airmen of Note, the premier band of the US Air Force. DeAndre Schaifer plays trumpet. He is the MD for Carnival Jazz Cruise. Keith Killgo plays drums; a bandleader and founding member of the Blackbyrds. EC3 also plays drums on track (6) , He played with Al McKibbon, MD for Loretta Holloway, bandleader and producer. Lori Williams returns. Educator, touring and recording artist. As well as Yvette Spears on track 6, Victor Provost plays steel pan. He tours with Paquito D’Rivera and is an adjunct professor at George Mason University.